How can academics build their individual brand? What are the new realities of book publishing? How can individuals develop a content strategy? Author and executive education instructor Dorie Clark shares insights to these questions on episode 19 of FIR on Higher Education. 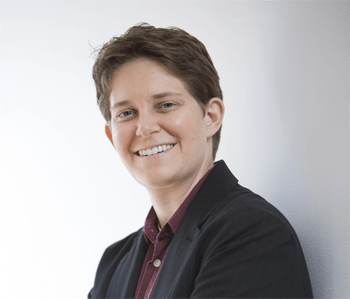 Dorie Clark is a marketing strategy consultant, professional speaker, and frequent contributor to the Harvard Business Review and Forbes. A former presidential campaign spokeswoman,Clark teaches or has taught at Duke University’s Fuqua School of Business, Tufts University, Suffolk University, Emerson College, HEC-Paris, Babson College, the University of North Carolina’s Kenan-Flagler School of Business and Smith College Executive Education. Recognized as a “branding expert” by the Associated Press and Fortune, she is the author of Reinventing You: Define Your Brand, Imagine Your Future (Harvard Business Review Press, 2013), which is being translated into Russian, Chinese, Arabic, French, Polish, and Thai. Clark consults and speaks for a diverse range of clients, including Google, the World Bank, Microsoft, Morgan Stanley, the Ford Foundation, Yale University, the Mount Sinai Medical Center, and the National Park Service. She has been named to the Huffington Post’s “100 Must Follow on Twitter” list for 2013 and 2014, and to the #Nifty50 list of top women on Twitter.Learn more.